What does LPI have to offer? How and when was Laser Pros formed? Where is Laser Pros International Located? How do I order with LPI? Do you offer FREE Technical Support? I have cores I would like to sell to LPI. • Laser Pros International specializes in HP, Samsung, Lexmark, and Xerox Laser printers and provides the industry with the highest quality products and services at competitive prices. LPI carries a wide range of products including parts, components, supplies, documentation, and whole printers. This website contains summary descriptions of printers and related parts listings. New parts and supplies are from the Original Equipment Manufacturer (OEM) or are properly designated otherwise. New parts carry the full manufacturer’s warranty, while most remanufactured components carry a 6-month warranty. An expansive inventory allows immediate fulfillment of customer’s product needs. 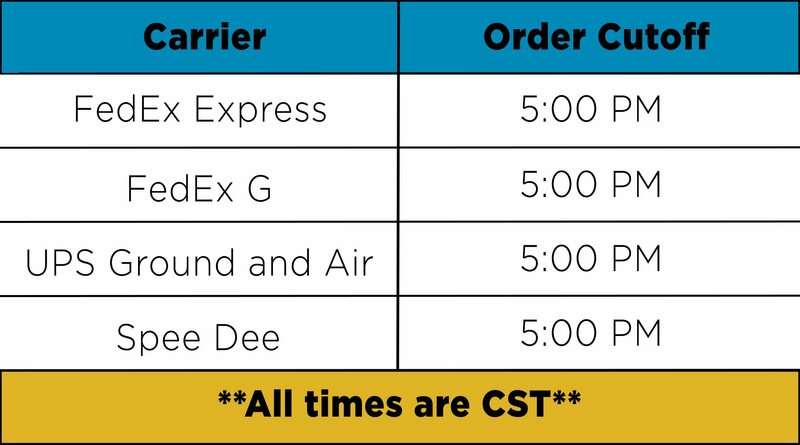 LPI offers same-day shipment of orders received prior to 7 p.m. CST, subject to carrier schedule. We also have an expansive library of technical resources for your convenience including our tech tip videos, service manuals, and much more. Head to "Technical Resources" to check it out! • Laser Pros International, (commonly called LPI), was formed in 1990 by company president Steve Spencer. Steve had been working at Prototype Design, a company that made one part: a fuser roller for the original LaserJet printer. Steve and his three brothers began the business out of a home in Madison, WI. As demand grew for their products they moved into a larger facility in 1992. The growth didn't stop there. Since then we have grown into one of the largest suppliers of printer parts and accessories. Interested in learning more? Visit "Our Story". •Our corporate headquarters is located in Rhinelander, WI and is composed of a 40,000 square foot facility. Our headquarters is where we remanufacture products, house our research and development team, host printer trainings, and a majority of our staff is located. In addition, we also have fully stocked distribution centers in Las Vegas, NV, Marshall, TX, and Chambersburg, PA allowing us to reach coast to coast with next day ground shipping. 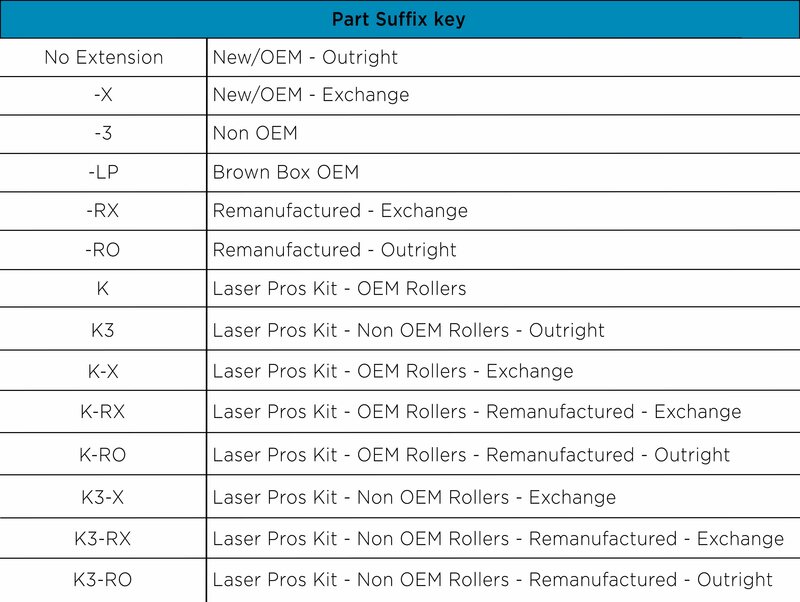 • We offer Original Equipment Manufacture parts (OEM) and Non-OEM (3rd Party) parts for all of your laser printer needs including but not limited to fusing assemblies, transfer belts, rollers, formatter boards, whole units, and component level repair. Partnerships with quality vendors allow us to offer parts at the most competitive pricing. Our Advanced Exchange Program allows you to purchase remanufactured products with no up-front core charges. •	We offer extremely competitive rates for ground delivery via FedEx® Ground. Orders can be shipped FedEx or UPS to our customer’s specifications. We also offer regional carrier options to enhance our 1-day delivery range. In addition to the many services that we offer, we also give you the ability to charge freight to 3rd party billing. Simply supply your FedEx or UPS account number to your sales representative, or Online in the Shipper Acct #: field at time of placing order and charges will be applied 3rd party. •	With our new E-Commerce system that was launched in October of 2017 you can quickly and conveniently order online or contact a sales representative via phone or email. Our E-Commerce system is available 24/7. To gain online access please contact your account executive to get online access set up. Send all inquiries to sales@laserpros.com. •Yes, our HP accredited platform specialists are available Monday through Friday from 8:00 am to 7:00 pm CST. Technical Support includes component board level repair as well as whole unit support. Our on-site technical support gives you peace of mind while out in the field. •You can email Technical Support 24/7 or call 715-369-5995 Opt. 2 to talk with a support representative. I have Cores I would like to sell to LPI? •	We will purchase your repairable cores for most laser printers. Please visit "We Purchase Cores" to view our current core buy list. For additional information and all other inquiries please contact kEncEmailqvsdibtjohAmbtfsqspt/dpn at 715-369-5995 Opt. 6.